People are often fascinated by what, and how I eat. They think that if you’re a baker, you spend all your time eating pastries. Which is like thinking that bartenders spend all their time drinking. My not-so-secret strategy is that whenever I eat something, I want it to be the best of its genre. I don’t want or need a ton of cream or whatever; when I want a chocolate chip cookie, I want a really, really good chocolate chip cookie. If I eat a scoop of chocolate ice cream, it shouldn’t taste vaguely of chocolate. I want it to be full-on chocolate. 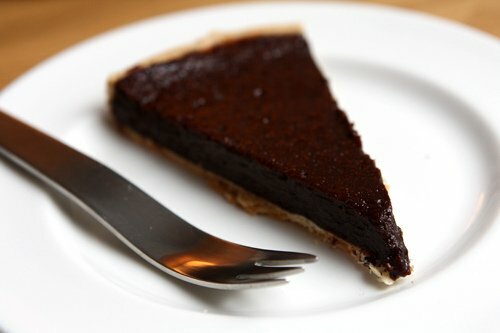 And when I eat chocolate tart, I just want the rich flavor of chocolate set atop a buttery shell. You can skip all the fanfare. A good chocolate tart doesn’t need to be fancy, but it needs to be deep, dark, and yes, somewhat decadent. I just put together a quick pâte brisée using a cup of flour (140g), a generous pinch of sugar, and a bit of salt. I rubbed in about 3 ounces (90g) butter until it was in little pieces, that added just enough ice water until it came together. 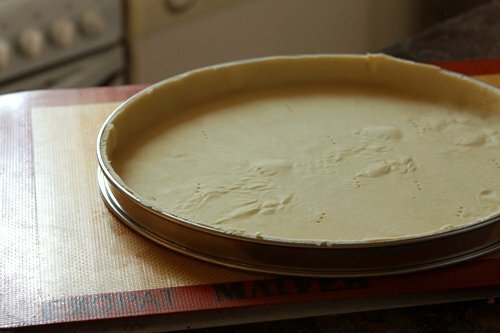 (If you want a more specific recipe, try the excellent French tart dough.) I left the dough to rest a bit, then rolled it out and pre-baked it with beans that I keep on hand for baking tart doughs. Once baked, in went the filling. This tart is a great combination of silky-smooth chocolate with a dense bite. 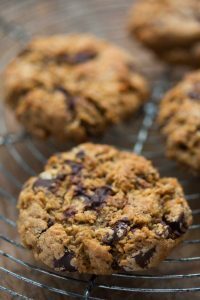 The caramel gives it a chewy texture and the unsweetened chocolate counterbalances any sweetness. I add coffee since I like the extra jolt of flavor, but you can omit it, or perhaps play around with other flavors that you like with chocolate. 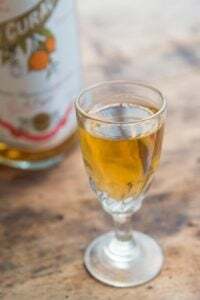 I think orange juice, black tea, or even just ratcheting up the liquor (use some in place of some of the liquid) would give it a nice kick. I served it plain, without whipped cream and without ice cream, just as is. French people are usually pretty good at telling you what they think – sometimes with brutal honestly – and I served it for dessert the other night and no one had anything but raves for this one. In fact, the best accolades it got was that it was even better the next day, for breakfast. Although I’ll admit, those were from me. 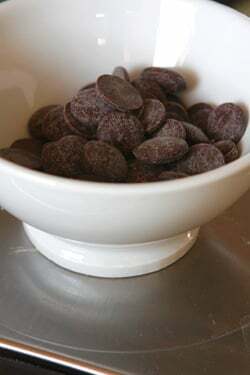 Unsweetened chocolate is often labeled as 99% or 100% cacao, or bitter (as opposed to bittersweet) chocolate and it’s easy to find at any supermarket in America. In France, it’s called pâte de cacao. (In Paris, you can find it at G. Detou, in bulk.) If it’s not possible to find it where you live, you could likely get away with just using 6 ounces (170 g) of the darkest bittersweet chocolate you can find.For those new to making caramel, you can check out my post How to Make the Perfect Caramel, as well as 10 Tips for Making Caramel, to help you out and to advise with any precautions. 2. Spread the sugar in an even layer in the bottom of a large, heavy-duty saucepan or Dutch oven. 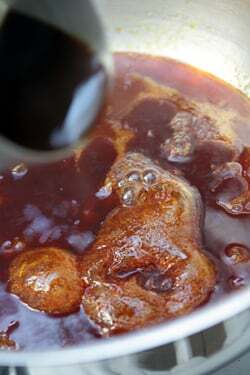 Cook the sugar over moderate heat until the edges liquefy and being to caramelize. Use a heatproof utensil to gently drag the liquefied sugar toward the center of the pan, encouraging the sugar to melt evenly. 4. 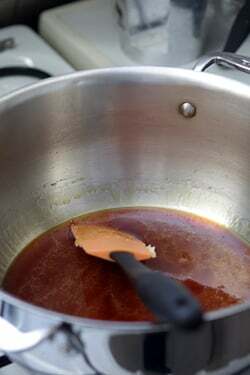 If the caramel has seized up in places, stir it gently over low heat until smooth. Then add the butter and salt, and stir until melted, then stir in both chocolates until smooth*. 5. Mix in the eggs, then the flour. Stir in the rum or vanilla extract. 6. Pour the mixture into the pre-baked tart shell, then bake for 15 to 20 minutes, just until the filling starts to rise and crack at the edges but the center is still jiggly. Do not overbake. Remove from oven and let cool completely before slicing. Storage: Tart will keep for up to three days at room temperature, well-wrapped. Troubleshooting: If any bits of caramel remain after adding the butter, simply stir the mixture over very low heat until they’re all completely dissolved. 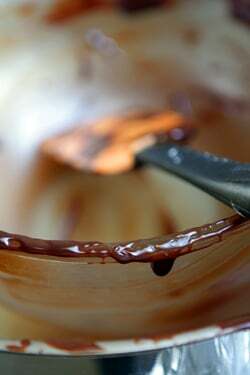 If any stubborn little bits remain, you can strain the buttery caramel through a mesh sieve, before adding the chocolate. *One reader noted that they felt the mixture was too hot to add the eggs right after the chocolate, but I didn’t have any trouble. If you wish, you may let the mixture cool down a bit before adding the eggs. Good on you, as the Aussies would say, for serving it just as it is. Good dark chocolate needs no embellishing cream or ice cream. Can’t wait to try this one! Looks perfect! The simpler the recipe, always the better it tastes. Thanks for sharing this! After you showed all those delicious posts about food, I was waiting for a recipe, and this THIS is like you read my mind!!!! : ) Thank you. Hey David- What tart pan were you using? It’s so pretty! I thought it was a ring but it’s so shallow, like a tart pan- but it has straight sides! And that tart looks delish. Very truffle-esque. That looks amazing and I’m not even a big dessert or chocolate lover, but I know that that is good, will have to try and make it sometime soon! This chocolate tart looks pretty perfect to me! I tried the french tart dough and it’s quite something. This filling, with the caramel base and the coffee males me want to be sunday, the day I bake! Ok, that looks quite amazing. Was there none left for lunch? I will attempt to force myself to wait for the weekend before trying this. Thanks David. I know already that I am going to love it. ya know? the older i get the more i am like that with food too, and it is a surprising excellent way to NOT gain weight. I won’t waste my time on processed or store bought stuff. though i keep a supply of lindt dark chocolate in the house for a quick bite now and then, i don’t eat store bought desserts. i just don’t see the point. and when i was teaching myself italian cuisine last winter (what else are you going to do in the winter in Switzerland, right? )… I was cooking my way through the book, Essentials of Italian Cooking by Hazan, I discovered how important even the smallest of flavors make to the dish. Truffles for example, just a smidge, make my risottos worth every bite over just plain risotto. 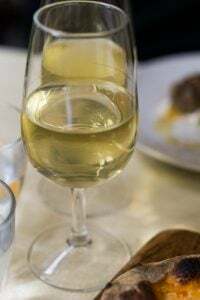 the choices of wine to use in cooking and with dinner as well… the whole experience and the flavors in the mouth… the creativity and the depth of flavors justifies eating that way. the flavors can be so rich that it’s very easy to stop when you’re full. but enjoy every bite slowly. it’s how it should be. meanwhile, lately i’ve been going crazy with my Vitamix machine, doing more soups and juice drinks and having a blast with that. I sadly had to put my Italian cooking on hold because of a small health problem, but still find that the same idea essentially still holds true even with juiced and raw food! put in the right good stuff and it’s delicious! I’m putting this tart recipe in my files for when i’m ready to eat that again! It looks amazing! thank you! This looks amazing, and I know that if your French friends approved, it must be! It’s hard to get praise for cooking from my French family-in-law, so when I do it’s the highest compliment! Bunny: It’s a tart ring and I like them because of the straight sides. But that are harder to find for some people and you need to have a relatively flat baking sheet. They sell them at professional places like Bridge Kitchenware (they’re called tart or flan rings) and on Amazon. Kristin: Luckily I have amazing in-laws who are always appreciative of good food – whew! 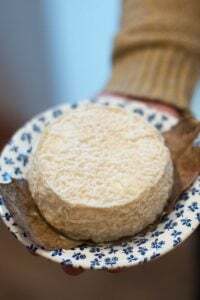 Stephanie: I always think it’s funny that people think there is some ‘secret’ – and I know there’s practically a whole industry built around this notion that the French are just naturally thin, no matter what they eat. And while that’s certainly changing, traditionally, they didn’t snack or eat junk food, but stuck to a more wholesome diet. My sort of dessert not too sweet. I’m imagining enjoying this tart with a perfect Italian cuppacino. Sorry if this is stupid question but what do you mean by unsweetened chocolate – would 70% cocoa solids do for the entire amount of chocolate? In the UK I use 70% cocoa solids for most of my chocolate baking. We don’t really have anything classed as semi-sweet/bittersweet chocolate here – I know they do in the US. Melanie: That’s answered in the headnote before the recipe. Thank you for posting this. I looked for the recipe when I used your tart dough recipe a few weeks ago with the pastry cream (both delicious) and you mentioned chocolate as a good filling. Thank you, thank you. Well now you’ve gone and done it; I was seriously just about to try your Chocolate Idiot Cake. Really now, what is a girl to do. Looks delicious, but I love the spork! I just bough 8 individual-sized tartlette rings for lemon tarts I made this weekend. I may use them to make individual chocolate ones. … that reminds me, I need to go jogging. How is it that I always gain weight after reading your posts? Have you ever tried making this with orange peel? thank you so much for all these special treats!! we are bakers from way back. I share your philosophy of wanting the best of each thing I can have. I don’t usually bother with chocolate tarts, but you hit all the right notes with this one: intense chocolate and coffee and caramel. Bravo! hi! this looks delicious. just one question… do you blind bake the french pastry recipe? To me, this is the perfect dessert. I’m a baker too, and it is funny how people think we just sit around eating sweets all the time. I totally agree about wanting the best when it comes to dessert. I love a little something sweet, and look for just a few bites of intense flavor…that’s all I need. This sounds WONDERFUL–I’ll definitely be trying it next time I need a chocolate dessert. And another question (which you may have answered before–if so, my apologies): why does the gastronomically-impaired US have unsweetened chocolate on every supermarket shelf, while countries with a long history of attention to excellent cooking do not? Seems like it should be the other way around. I just wondered if you had any theories or explanation. Wow, wow, wow. You’ve done it again! 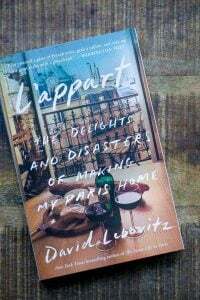 This is David Lebovitz week at my house; we just polished off the french apple cake you posted last fall since we have such an abundance of apples and now this. I’m swooning. Would you have any tips to prevent the sides of tart crusts from shrinking? Sometimes I blind-bake a crust in similar ring or tart pan, only to find the sides shrink down so much, it barely holds the filling. Not sure if I am overworking dough, not chilling enough, using high-fat Plugra versus regular butter? I heart tarts, but would love to perfectmy crusts! I have one problem with caramel which I’m sure you’ve run into and can help with – or point me to a place I can read the answer: I live at 7300 ft. elevation. Whenever I’ve tried to make caramel, dry or wet, the water boils off so quickly (water boils at a lower temperature up here) that all I get is rock candy. Is there any way around this other than driving down the mountain? Love your column, and cook from it all the time. This tart recipe looks wonderful! Sometimes you can add a squirt of lemon juice, cream of tartar, or a spoonful of corn syrup and that will help prevent the caramel from crystallizing. Alex, I used to have the same problem, but here is what I have learned from a chef friend. Chill the tart shell very well (at least 30 minutes in a cold fridge that you are not opening every 5 minutes), poke some holes in it with a fork then line with parchement paper and fill with dried beans or pie weights. Bake for about 8 minutes and then keep an eye on it. 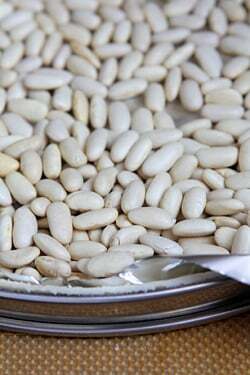 After the crust edges start to brown, remove the paper and the beans/weights and let bake until the tart is golden brown like a cookie. A crunchy tart shell is soooo worth the trouble. Beans?I don’t understand-what kind of beans and what do you use them for? Do you put them in a pie crust? what is purpose of them? I’m making this as soon as possible! I am one of “those people” who will be adapting, with a grain-free crust (grain-free, have you heard about it? It’s the latest). And I will be making a caramel with maple syrup for the first time, which is a tiny bit harder because it already looks caramel colored. That looks so rich that you can practically tastre the chocolate in the picture. I want some now! Seriously, David it does look good and so clean and sophistocated on the plate. Too funny, I always eat left over dessert for breakfast……gotta live a little, right? Too funny. Me too. Think people believe I eat macarons all day, when in fact I do. No, not true. Not sure now. But it looks funny when I say I love smoked fish. That’s true, too. I so agree. I eat very healthy, but when I do want dessert… I want it decadent and rich. Whenever I go home to California I get a real laugh when my friends take me out for banana squish or coconut milk being pass off as ice cream or sugar, egg, dairy, gluten free cookies (being eaten by people who don’t have any food allergies). Don’t eat it too often, but make it count! Wondering about substituting port for rum. Would the port flavor be lost? What about using port instead of coffee in the caramel? Would it evaporate too quickly? Love the sound of these clean flavors, and I can’t wait to try this tart. Good god that looks good. Please send a slice over ASAP! I absolutely love chocolate – the richer the better. This chocolate tart looks and sounds absolutely divine and is calling my name. Making the caramel in this recipe is going to be a first and a challenge for me but I’m going to try it. That is definately my “cup of tea”. So much better than the stinky cheese. This looks absolutely divine! I love the addition of the rum and how it’s flavored with caramel–I never thought of baking caramel into chocolate before. 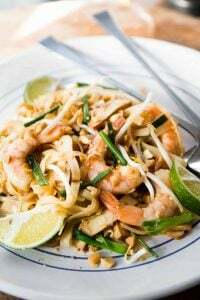 :) Wonderful recipe that I’m going to try as soon as I have an occasion! maybe my occasion will be Tuesday night TV, hehehe. Made it tonight! Whole foods had all the right ingredients. Recipe worked perfectly the only thing I was afraid was to scramble the eggs, but I think it worked out. My beautiful tart is cooling as we speak. Can it be stored in the fridge? Thank you so much for posting. Beautiful! I think there is always a place in the world for another chocolate tart recipe. By the way, a great many bar/pub owners do have drinking problems – it comes with the territory. I make all the birthday pastries for everyone at work, and the most frustrating request someone can make for that is, “I dunno, everything you make is good.” I managed to press the next victim into saying he wanted “chocolate something. But it needs to be really chocolate-y, not just a regular chocolate cake.” I think this will be just perfect with the remains of that bar of baking chocolate in the cupboard. Gwen– After living at 7,000 feet for four years: you must use at least a bit of corn syrup, and use a slightly lower temperature on your stove. Let the sugar melt slowly and stir it gently as it melts. A few grainy bits may remain, but it’s possible to get a good rich caramel at altitude.It’s not nearly as easy in the mountains as here at sea level, but if you’re patient with it it’ll work out. My birthday is next week, and I now know what I’ll be having for desert!!!!!! sweet baby jesus. this is chocolate tart heaven! Have you ever tried using a walnut crust with this recipe? I use this for pumpkin (actually it’s butternut squash) pie, and it’s a nice combo. 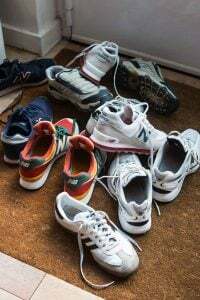 Just read your advice to bloggers after finding it via a link in the Guardian, agreed with much of it so was disappointed to see that you ignore your own advice and make readers click for full posts! I don’t advise people to publish full posts because content ‘scraper’ sites take your feed and republish all your content elsewhere, which is an unfortunate consequence of publishing online. So I recommend people publish a partial feed for that reason. What I was referring to in the article you mentioned were sites where readers are directed to click multiple times, but which don’t lead directly to the content readers are requesting to read. 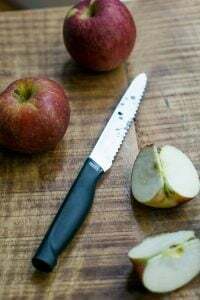 When I put a link on the site to another recipe, it leads right to the recipe or the recipe on the other site or blog where I am linking to (since I like to link to other posts readers might be interested in, with similar topics) , as I did at the end of this post. This one literally stopped me cold. I’m planning on making it (and possibly sharing it with family, if they’re very, very good) this weekend. I have a quick question, please excuse me if you’ve covered it elsewhere on your site – Can I prepare and pre-bake the tart shell ahead of time? If so, is it best to refrigerate, freeze or keep it at room temperature until I use it? Thank you. Looks wonderful. Chocolate and caramel: two favorite things in the same dish. Need. Quick question though: there’s no mention of cooling anything down before adding the eggs. I assume the caramel is superhot (at least last time I splashed myself with liquid caramel I got that impression…). Do the butter & chocolate cool it down enough so I can then add the eggs safely, or will I (yuck!) end up with boiled egg? David! I need your help. I am contending with an established baker in my town for outdoing her insanely decadent brownies. I skimmed through (okay pierced with my x-ray vision secrect ingredient vision goggles) her ingredients list and nowhere was BUTTER listed but rather CREAM. Have you ever in all your fine pastry days seen a brownie recipe with cream in lieu of butter? I think it’s pure evil genius and yet can’t find a single recipe on the webs. Wow this is good. I just finished a piece 10min ago with my wife and we both had to eat another piece after the first. I only had milk chocolate and valrhonna 71% chocolate on hand so I used the milk for the 4oz and the dark for the 2oz. I used the ‘french tart dough’ that you posted earlier for it and it was also great. I couldn’t stop myself from topping it with creme chantilly. What i love the most, is that it doesn’t take too long to make the dough, tart and cream, yet it tastes so good. Thanks David, I love your recipes and books! The only real dessert I’ve ever eaten for breakfast is my own (and it’s my favorite) pumpkin pie. You can almost see it. But this might change my mind. Dryflour: I haven’t made a brownie recipe with cream, and no butter. But it sounds like something worth experimenting with if it yields a great brownie! An: That looks great, and nice to see even a non-chocolate lover dove right in and did such a great job with this tart. Christina: I’ve used (of course) that recipe as well, although it can be a little tricky to make sure that it stays in place. 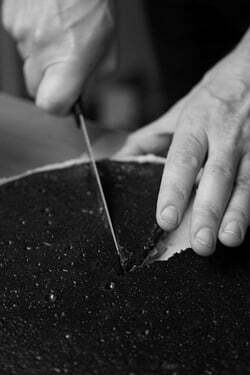 But when you get it right, you’re correct – it is a great tart dough. 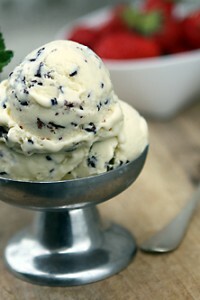 Olga: When you add the butter & chocolate, it decreases the temperature dramatically. And you never want to have chocolate get too hot, or it’ll burn. If in doubt, use your intuition and wait a bit before adding the eggs, if you think the mixture is too hot. But I added then as indicated with no problem. I have yet to taste on of these. Now it’s a must. Who needs lemon meringue tarte anyway.. Thanks for the recipe David! Totally on board with the all or nothing approach! I especially detest it when food can’t make up its mind about whether it’s a dessert, or a health food, or a whatever. I very much like the sound of your chocolate tart! MmmM! I made this recipe as immediately and it looks exactly like the pic. It tastes even better. In fact, everything I have made from your site is excellent. I just made a chocolate tart last week. I used the pecan shortbread recipe from your book as the shell and the darkest chocolate I could find for the filling. Definitely a keeper. And there’s left over cookie dough in the fridge for cookies this weekend! Maybe I’ll dip them in chocolate too. Thanks for all the great recipes and the inspiration! Looks fantastic but I need a dollop of whipped cream on mine please. Dryflour, perhaps she is making her own butter or just listing the butter ingredients – butter is made from cream, right? I’m glad you omitted the whipped cream and/or ice cream. The chocolate speaks for itself! As for a breakfast treat, I could eat this for breakfast, lunch and dinner! Hampton, any kind of beans will do! You’re not going to eat them, in fact I have a large baggie with beans for that purpose.. Just be sure they are spread over parchment, all the way to the edge of the tart…purpose is to support the buttery crust when the butter first melts. It will sag without support. The tart looks like it would be so difficult to make but you make it look so easy. wow. i love your travelogues and your photos and your stories. but honestly this simple tart recipe (well, relatively simple :)) blows me away even more. i love, love, love it. This is so going to happen…..that bit of coffee gives me all the more reason to try it. Is this just like mud pie? Hoho. The tart looks so yummy! Idk what the different btwn semisweet and unsweetened choc. Can i use dark choc and sweet choc bake instead of those? I got scrambled eggs in the chocolate when I made this, even though I was worried about it beforehand and stirred a little of the chocolate mixture into the eggs before adding them back to the rest of the chocolate mixture. Maybe I should have stirred more of the chocolate into the eggs before adding them back. But I strained it all before baking, and it was delicious! That’s unusual because normally chocolate burns above 120ºF and by the time you add the butter and chocolate, the temperature should not be high enough to scramble eggs (which takes place at 158ºF) – but glad you found a solution and you enjoyed the tart. This looks fabulous! Wow. Thanks. I finally made this last night. It was my very first attempt at a sweet tart, and my 2nd tart ever. This dessert was simply gorgeous. The carmelized sugar really adds some unexpected wow to the texture, and the crust balances it nicely. I only slightly tweaked in two places, fresh brewed espresso for the coffee, and rather a bit more than a pinch of fleur de sel. I felt the extra bit of salt was a better fir for my personal tastes. 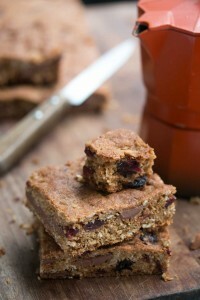 The recipe was clearly written and easy to follow (lovely photos! ), and the making of this tart was a breeze. I plan to keep it in heavy rotation. Thank you! LOTS of love from Texas. After having made the caramel and added the coffee, and butter, I measured it at 240F – still way too hot. Had to cool it down quite a bit first. I’ve tried it. It’s so delicious… Thanks a lot for the recipe…. Made the tart last night and received rave reviews. Next time I think I’m going to try grating some orange zest into the crust. Thank you so much for a wonderful recipe! I’ve been a regular reader of yours for a while now, but this recipe has really caught my attention. It somewhat reminds me of an espresso tart I recently tasted, so I’m eager to try it out. Thanks for sharing. yum! I made the tart for guests for dinner last night and it was delicious. The left-overs tonight were even better! Thank you! I totally agree with you. When it comes to desserts, I want the best! Nothing artificial or low fat. This chocolate tart looks amazing! great recipe! not a big coffee fan, but i had some passion fruits lying around (i was planning on making your passion fruit pound cake) and decided to squeeze in 8 tablespoons of fresh juice and omit the rum/vanilla for fear of too many competing flavors. it was AWESOME! will probably make this recipe again 2-3 times before week’s end to appease everyone around!!! thank you. Looks lovely & classic… And I couldn’t agree more about only having dessert when it’s really excellent! I made this last night, following the recipe word for word. It is simply a brilliant recipe. 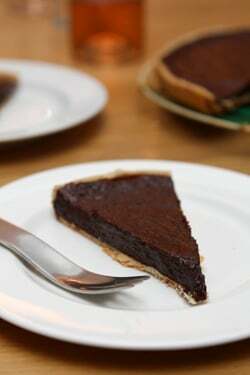 Normally I would have filled the tart shell with a ganache or a curd, but the chewyness and substance of this recipe really gives the chocolate tarte another dimension. Thank you! It turned out flawless, and you’re right, the leftover slice for breakfast is magnificent. The bitterness of the chocolate, with the slight saltiness of the shell and the mellow vanilla taste of the cream made it an all around incredibly balanced dessert. I love how you just threw together the dough. You made it seem effortless and attainable. Thanks for the recipe David! Chocolate tart is my no. 1 dessert in the galaxy! What do you think of the differences between a 1. ganache filling that involves no baking 2. cream-chocolate-egg and 3. butter-chocolate-egg filling? This is great and easy. A great addition – cinnamon and cayenne pepper in the chocolate. France meets Oaxaca. just to say I enjoy very much your blog – recipes as well as your humor… even if I follow it for more than year, I never left a comment – just cause I’m not used to leave the comments. But THIS post is THE post and THIS tart is THE tart. Paule’s dough is surprising, easy to do and very good, but after all, your filling is W O W W W W !! m e r c i ! ! If one stores this chocolate tart in the refrigerator afterwards, is that bad for the tart? I ask for two reasons: 1, you don’t specify that as a storage option; 2, when I stored my in the refrigerator, sealed airtight, it turns out very very firm when subsequent helpings are served. Should it be that firm? Or am I simply in error by not storing it at room temperature. Is it normal for a chocolate tart to firm up quite a bit once stored in the cold? Thanks in advance for you comments. 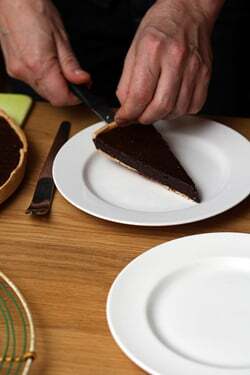 Recently made the chocolate tart de Rue Tatin from your Great Book of Chocolate as well which has been enjoyed by all. I don’t store the tart in the refrigerator for that reason; I keep it at room temperature. 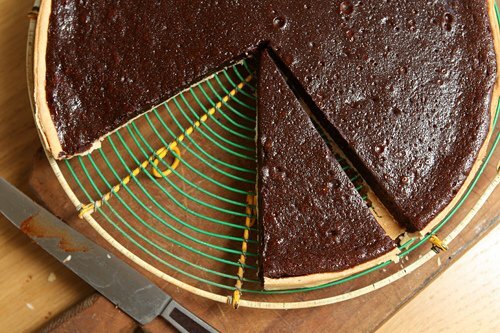 Glad you liked the chocolate tart from my chocolate book, too! I tried this recipe for the first time today and, although the flavor was absolutely delicious, I couldn’t manage to get the right texture. After 20 minutes in the oven the edges weren’t quite rising enough or cracking at all, so I kept it in there for another 5ish minutes before taking it out from fear of over-baking it. I let it cool completely before slicing into it but it still hadn’t set enough. It was gooey and not nearly as firm as I can see yours is. Any thoughts? I used a ceramic tart dish and believe that might have been the issue (although the pie crust baked on time), but I just wanted to know if there was anything else I could have done wrong before I attempt it again. Thanks for the advice and all the delicious recipes! Different materials do bake differently and baking times will vary depending on the vessel used. Since ceramic is a lot thicker than metal, that is likely the cause. My wife is a quite good baker. For a family lobster feast today she decided to make your chocolate tart (I’d emailed her the recipe, w/out obvious begging). My two teen sons and I were blown away and my wife was quite thrilled as well. Wonderful, deep tastes. Thank you. some weeks ago I tried your delicious almond tarte and now this one. I added some caramelized nuts and once again I removed a perfect culinary delight from oven. A veritable sunday sweet! Thanks a lot from Berlin (Germany).